I love doing pages with children's photos. I get to use bright colors and fun embellishments. 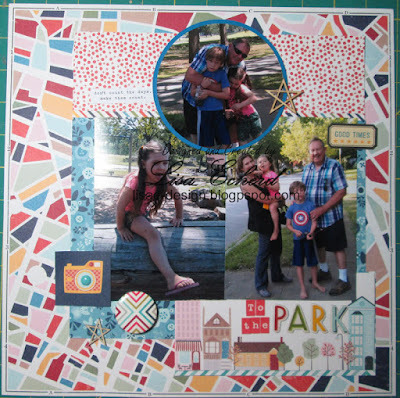 For these three photos I have used a bright collection called Go Now Go from Shimelle Lane For American Crafts. Using my old Creative Memories circle cutters I trimmed down one of the photos to allow a little more space for embellishments and journaling. One of the journaling cards created a space for the title. 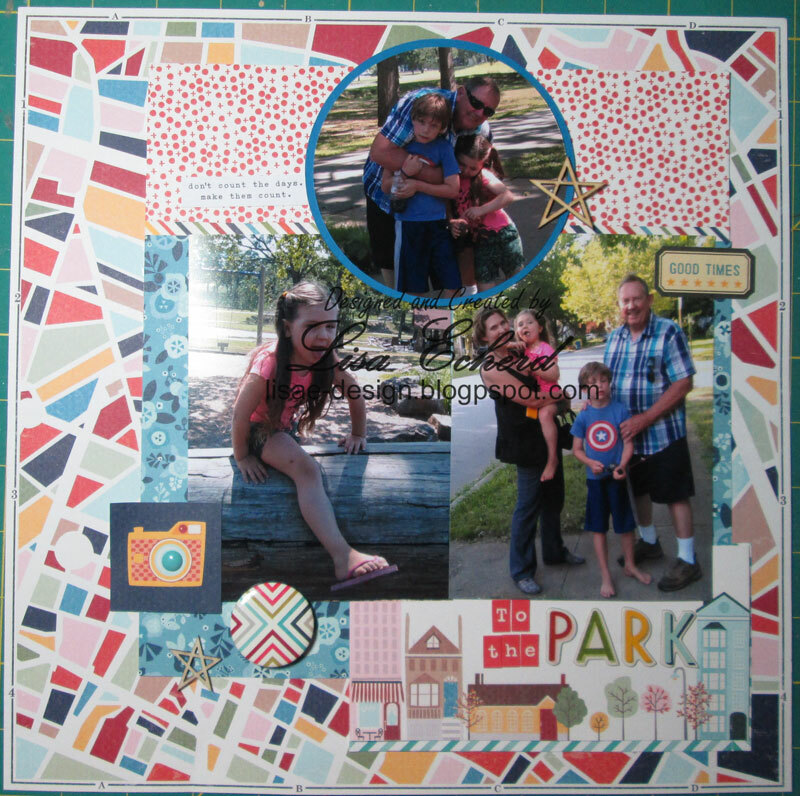 When I first got into gelli printing, a fellow crafter told me her favorite size plate was the 3x5. This didn't make sense to me, why use a small plate when you could cover so much more ground with a large one. After I bought the smaller size I got it. It's really versatile and I love the prints I get whether I'm doing something small or large. I just had a notion to play the other day with little in mind of what to do with the prints. After a few prints, I remembered that I needed some purple paper for an upcoming page. Purple is a difficult color to find in scrapbooking but I had plenty of paint so I just made my own.